We have a number of impressive, professional-looking designs for you to choose. These responsive templates look good on any device: phone, tablet, laptop or desktop. 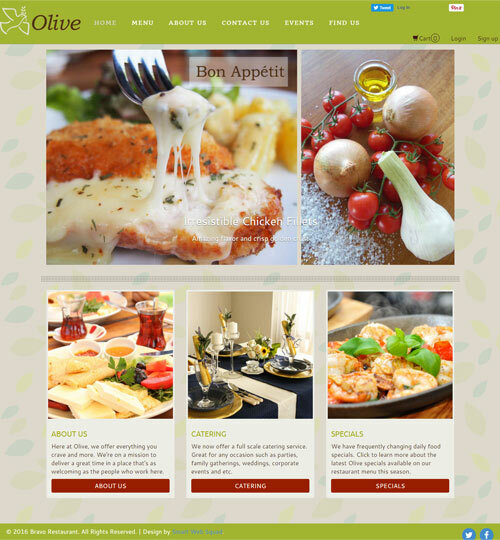 They will help you show off your restaurant business and impress customers with mouth-watering dishes. 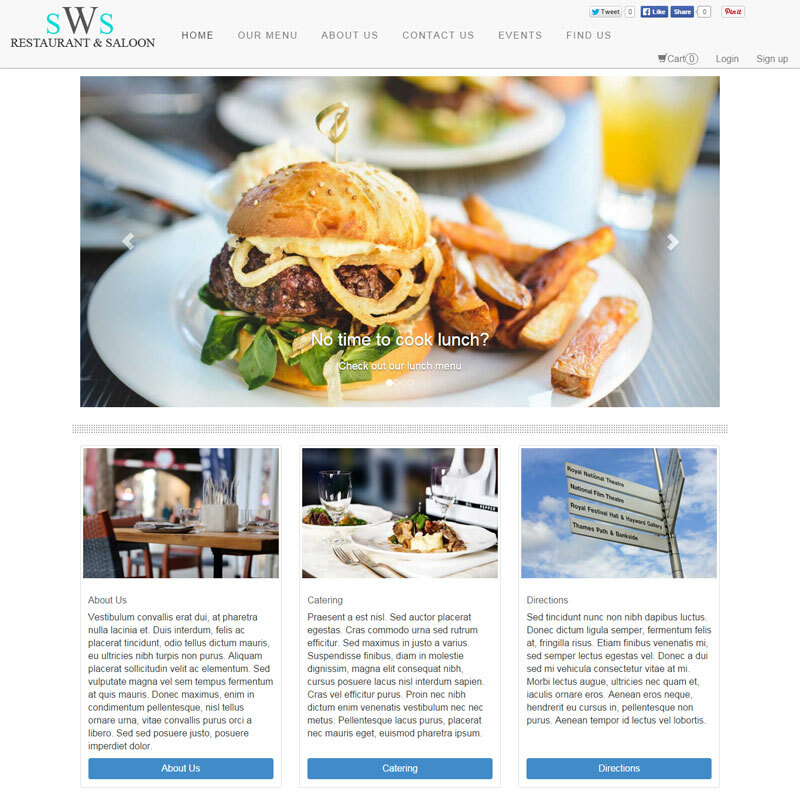 Click on the images to see what your restaurant website could look like. 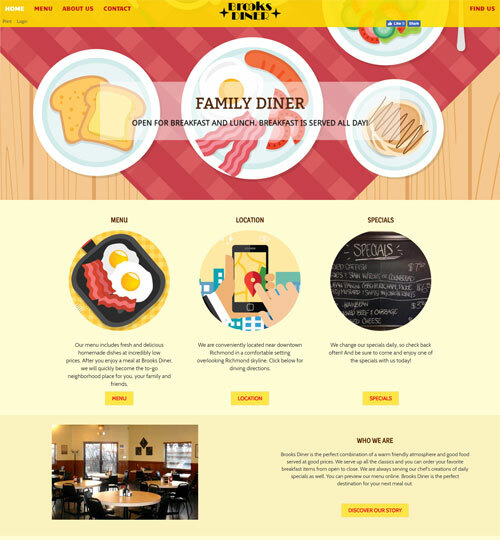 Each template has all the necessary features to drive more customers to your restaurant. Ability to personalize design to fit your company's look and feel. 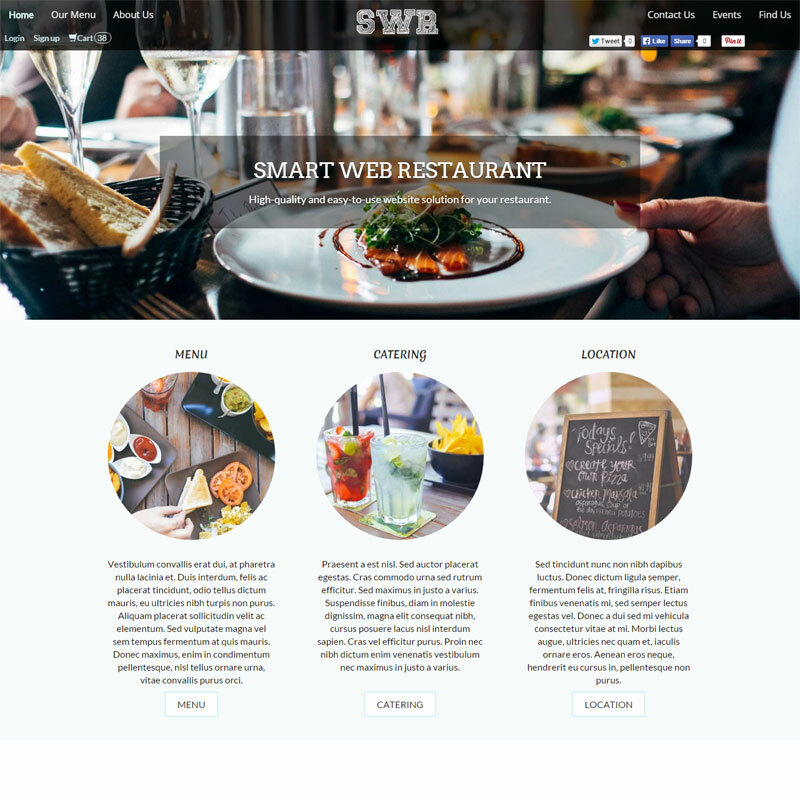 With Smart Web Restaurant, no design looks the same. Logo and navigation stay on top of page, always visible and easy to navigate. 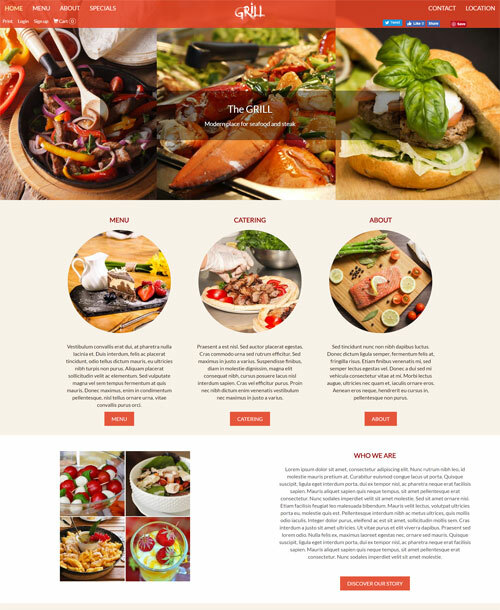 Large Image or Slider Area on home page to showcase your mouthwatering menu items and make your website visitors hungry for more. Quick links to most important sections of your website, where you can promote your services, announce events or show off new menu items. 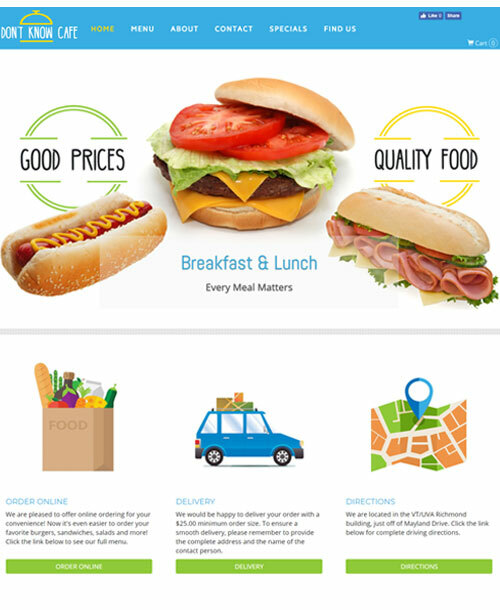 Attractive design for your menu, a central piece of any restaurant business, with images and clear pricing to convince people to dine with you. A separate area/page for your promotions, specials and events. A great possibility of direct online marketing for your business. A contact page/area with all your information and contact form to reach you directly. No need for potential customers to hunt for your basic information. Location information, map and directions, working hours and closed-on days. Many restaurant websites fail to meet even this basic need. A special area for your social media links, to allow your potential and regular customers to reach you on Facebook, Twitter , Google, Pinterest or Instagram.